Dr. Paola Riva, Visiting Scholar and Assistant Professor, University of Milano-Bicocca. From bullying at school to romantic rejection, loneliness for the aged, and violence against others, social exclusion has many faces. But while some children and adults are able to overcome the uncomfortable feeling of being left out, others become depressed or angry with tragic results. Understanding the psychological impact of social rejection, exclusion and ostracism – and finding ways to strengthen the coping skills of at-risk individuals – is a crucial issue for the health and wellbeing of communities around the world, according to Dr. Paolo Riva, assistant professor, Department of Psychology, University of Milano-Bicocca. "There is an urgent need for more research on interventions to reduce the detrimental impact of social exclusion,” said Riva at the School of Education and Human Development’s Brownbag Research Colloquium on September 12. A visiting scholar of the Department of Educational and Psychological Studies (EPS), Riva has focused his research on social exclusion. 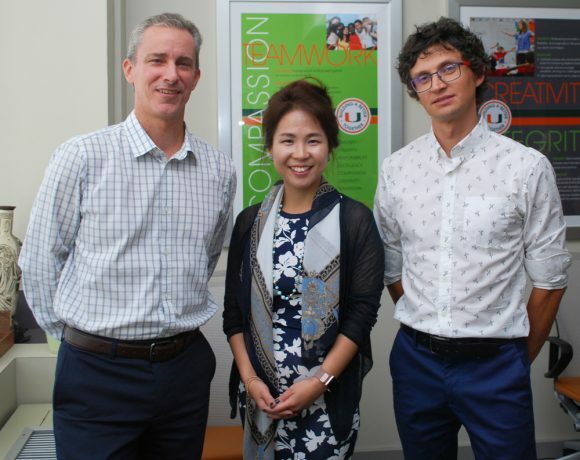 Soyeon Ahn, EPS chair, welcomed faculty members and students to Riva’s talk, adding that Kevin Jacobs, associate dean of research and associate professor, Department of Kinesiology and Sport Sciences, would lead the school’s next colloquia. "Research shows that social exclusion can have implications concerning virtually all domains of psychological inquiry, including social psychology, developmental psychology, cognitive psychology, and clinical psychology,” Ahn said. Riva defined social exclusion as being kept apart from others either physically or emotionally. But he noted that there can be a difference between perceptions of exclusion and reality. For instance, an individual with borderline personality disorder (BDP) might feel rejected, even when included in a normal social setting. Social exclusion can occur at any stage of life and in settings as diverse as the home, school, workplace and online world. “In any setting, social exclusion can adversely affect one’s emotions and psychological needs,” Riva said. For school children, chronic feelings of exclusion may have cognitive consequences, as there is a correlation between being isolated and getting lower grades, Riva said. Exclusion in the workplace can harm the productivity of an entire department or organization, while feelings of isolation and loneliness can reduce life expectancy for seniors. Riva discussed a series of studies he conducted with third and fourth graders in Italy in a videogame setting. Two animated figures would throw a “cyberball” back and forth, either including or excluding the student in the game of catch. Riva added individuals experiencing social exclusion may also be susceptible to being recruited by potentially dangerous groups, such as neo-Nazi organizations. “So helping isolated individuals seek social connections might not always be the best cure for the problem,” he said. Instead, Riva suggested that parents, counselors and teachers look for ways to help young people build up their ability to tolerate feelings of loneliness, rejection and exclusion. That might mean providing emotional support for their individual strengths, or helping them to identify with their school, community or other social group.